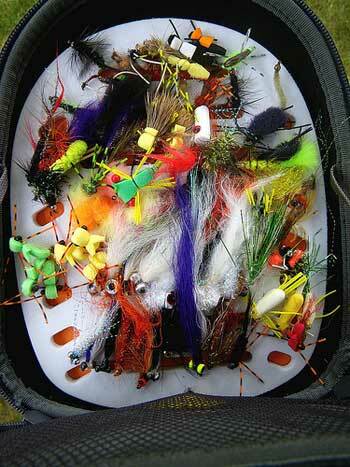 FLY TYING IS VERY MUCH an entity unto itself, with a very strong niche following. In many cases, old standards by way of vises and tools still dominate tier preferences. But we do see a number of innovative products that offer a potential new “twist” for the bench (and the traveling bench) coming down the pike in 2012. For starters, Umpqua is introducing a “Tubeology Nano” fly tying kit to handle the growing popularity of tube flies. The kit includes a vise adapter, storage system, different tubes, and heads that can be mixed and matched to create flies for specific situations. Umpqua is also launching a new line of “Competition Series” hooks. Spirit River is introducing “Sof-Tungsten,” which can be melded in various shapes and sizes into fly patterns. Alert Stamping has come out with a handy new dual LED fly tying light, and Peak Fishing is introducing a “Rotary Tube Fly” vise and matching accessories. Flymen Fishing Co. will launch a number of new materials, the applications for which are only limited by the imaginations of the tiers who use them.